Winter is finally winding down and I think its safe to say the nicer weather is here to stay! It's time to let your hair down from that toque and show your face from behind that scarf, spring has finally sprung! The long-cold winter months have probably taken their toll, making us feel like we want to go into hiding. Our hair and skin dried out from the elements and maybe our smile could use a little brightening. Although I do take care of myself during the winter months, its always nice to treat yourself to an at home DIY mini makeover. The house and yard aren't the only things that may need a little spring maintenance, get fabulous with these great products from Pantene, Olay and Crest! Has winter left your hair lifeless? 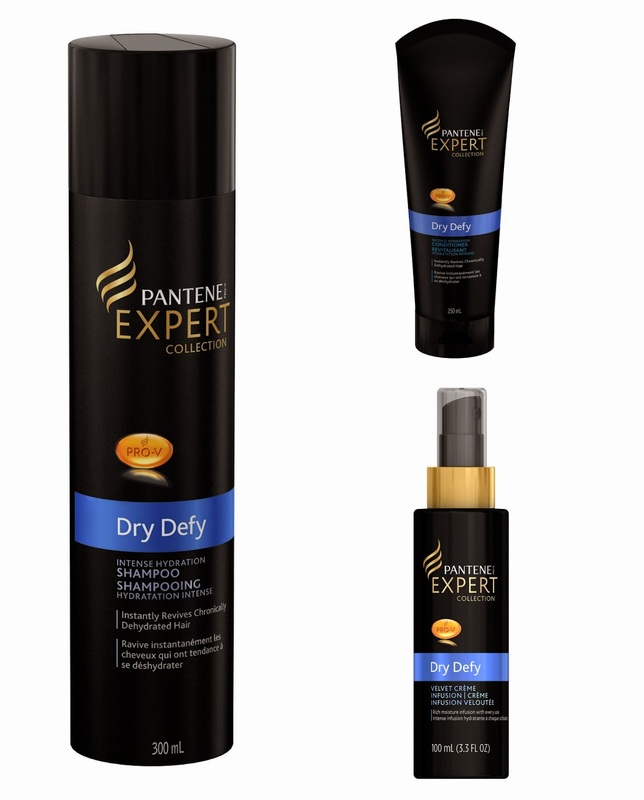 Don't worry, Pantene has you covered with Dry Defy Shampoo and Conditioner along with Velvet Creme Infusion, designed for women like you and I with dry hair that's lost it's natural movement and shine. It's great if you're hair has been feeling a little less than great from the winter weather. With an easy three-step system, your hair will have bounce back in no time! Is your favourite hair colour looking dull just after a couple of washes? 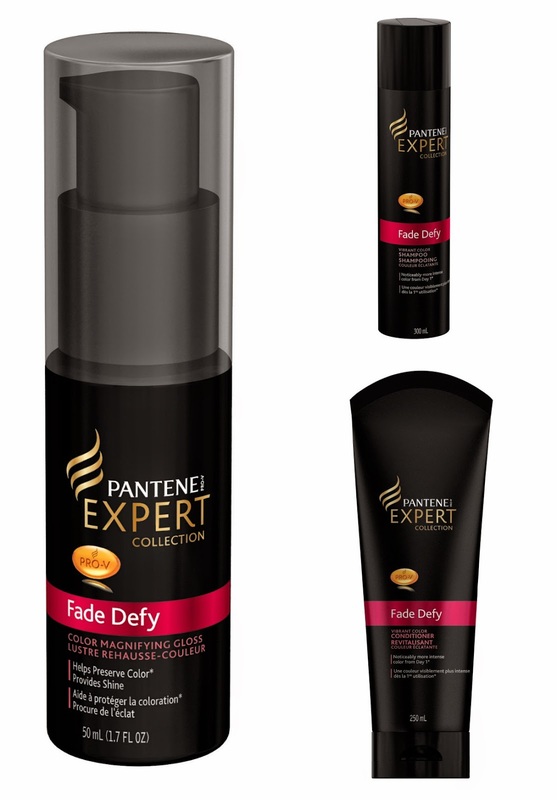 Pantene Fade Defy shampoo and conditioner paired with Pantene Vibrant Color Magnifying Gloss after washing will have your colour looking fresh and new for longer. Anyone who uses at-home colouring kits will want to grab this collection on their next drugstore run. 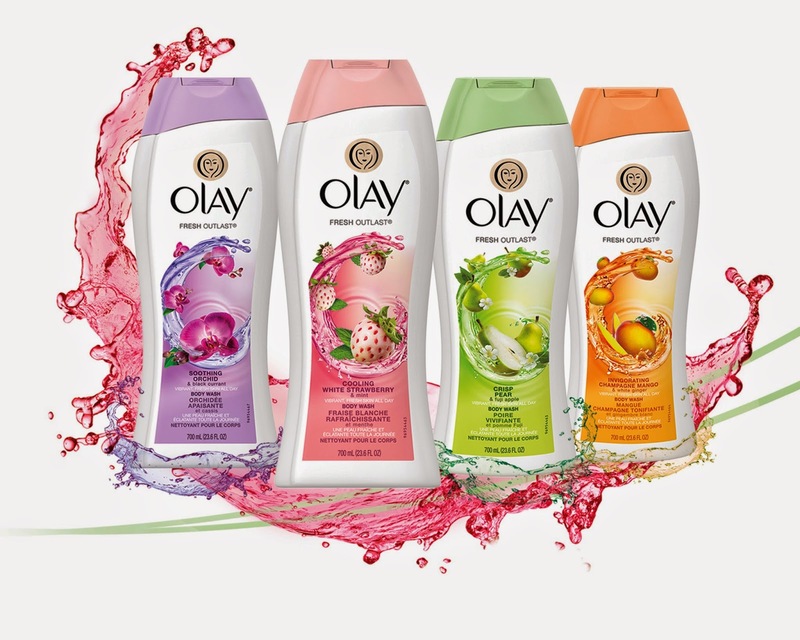 During the winter months skin can be left feeling dry and itchy, new Olay Fresh Outlast Body wash can change that. It's formulated to work with our natural skin PH leaving skin feeling soft, smooth and not to mention smelling wonderful with four premium scents like White Strawberry & Mint! Lastly, get ready for those springtime selfies with Crest 3D White Brilliance toothpaste to keep those teeth looking their whitest! 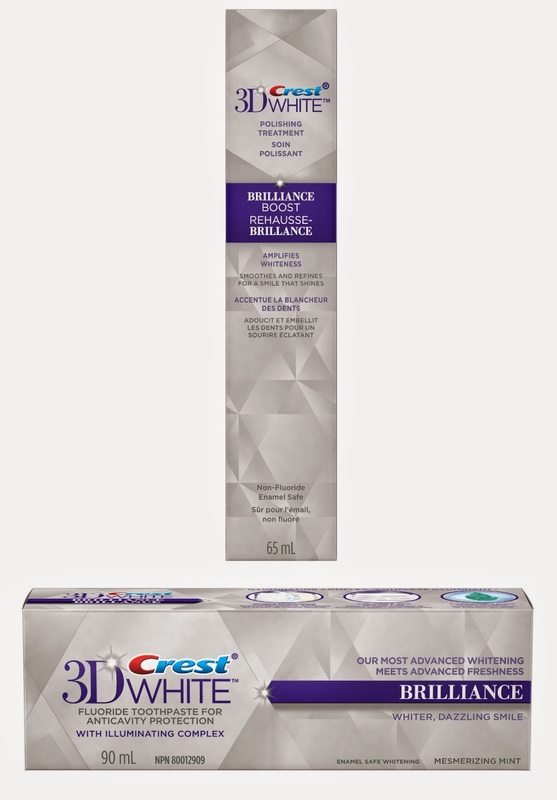 Also try new Crest 3D White Brilliance boost, a polishing treatment to amplify your smiles brilliant whiteness. With the sunshine calling your name to get out and face the world, you'll want to be looking and feeling your best! Check out the full line of Pantene, Olay and Crest 3D White products by visiting www.PGeveryday.ca! Open to Canadian residents 18+ (excluding Quebec). Mandatory entry must be done for extras to count. Winner will be drawn at random using GiveawayTools on April 30th, 2015. Valid email address and skill testing question to qualify. Winners have 48 hours to claim before prize is redrawn. More about giveaways can be found here. P&G has only provided me with the product that I am using as the prizes for this contest. The contest is not otherwise endorsed, designed and/or administered by or associated with P&G.By entering the following contest you are accepting that, if you win, your contact information will be shared with a P&G PR and shipping agency for the purpose of mailing your prize. Please allow 4-6 weeks from the contest closure date to receive your prize. 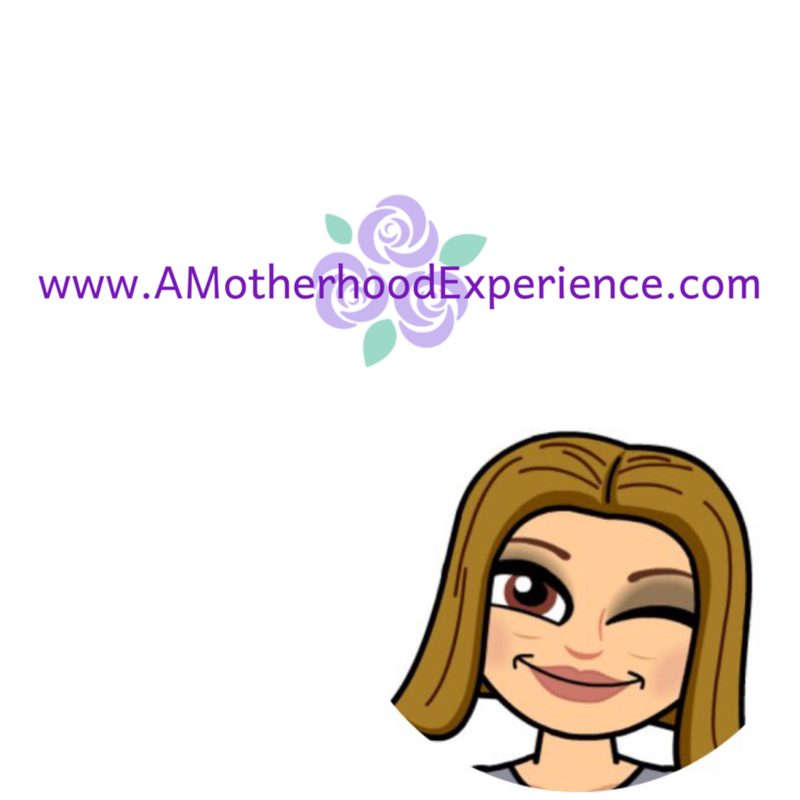 This giveaway may appear on other blogs as part of the #PGmom/#mamanPG program. However, to be fair, you can only win once per giveaway. If your name is chosen more than once, another winner will be selected. Good Luck! Umm, I think the question is about the wrong thing. It's about unstoppables. Anyways, I love the the unstoppables scent lasts a long time. It stays fresh for quite a while. And I'd love to try the new olay body wash! The Crisp pear sounds so nice. Being able to get outside again and starting my garden. I like going outside without all the winter hat,coat and boots! Its a releif not to get all dressed up to go outside! Spending lots of time outside soaking up the sun while walking, camping and swimming. I feel fabulous during springtime wearing bright colors and smelling beautiful flowers! Handfuls of daffodils and tulips and the smell of freshly cut grass! Being able to go outside without without winter gear on, being able to plant my flower gardens and breathing in the fresh air. the warm spring air and the flowers starting to bloom make me feel fabulous!! The warm weather and sunshine! longer days, sunshine and all the color. I cant wait to open all the windows nice and wide and put my curtains in the wash with a heaping helpful of Unstoppables! they really do make everything smell so fresh! I feel fabulous by shedding the layers of winter and being warm again! Once I have flip flops on I will be even happier!! I love the warmer weather and colourful gardens and seeing grass! Hanging clothes out on the line. A long walk in my comfy sandals! Love the sunshine and the longer days, just makes me happy. I look forward to opening the windows and doors and enjoying the fresh air and sunnier weather. Throwing on my flip flops and a tank top and getting in the garden makes me feel fabulous! I love to listen to the birds sing first thing in the morning. Getting outside in the sunshine makes me feel fabulous during springtime, and getting pedicure in preparation for sandal season is wonderful too! Getting outside, walking on the trails and stopping to feed the ducks on the way. Getting outside and the warm air. A new hair cut always makes me feel great! The first pedi of the season! It makes me feel flip flop ready, which means warm weather is on its way. Fresh air and being able to wear sandals! Love getting away from the cold. The warmer weather and sunshine. What makes me feel fabulous is feeling the sun shining on my face and the warm air. I love getting out in the sun and playing frisbee with the dogs. I love reading on the deck and I love gardening. I love the sunlight and wearing lighter clothes. A great new pair of sandals! Going outside and playing ball with my boys! Planting my garden and daily walks with the whole family make me happy every day. I love the warm weather and beautiful flowers. Sunshine and the feeling of rebirth! Bring more to your home decor with Artollo! Think Lampe Berger This Mother's Day! Step Into Spring With KEEN UNEEK Footwear! National We Day 2015 Experience!